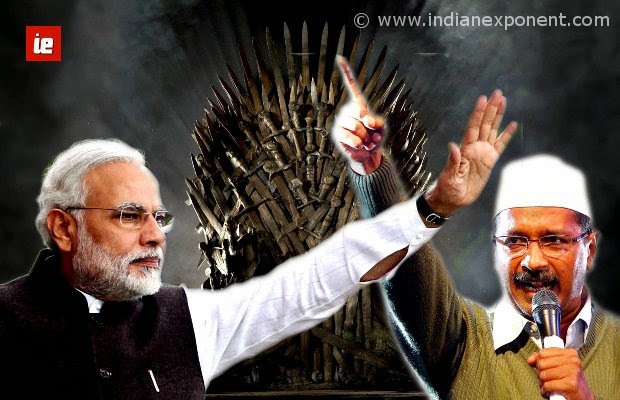 It is time for new season of Game of thrones, not just on TV but in Indian politics too. 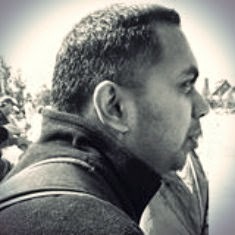 Indian election scenarios seems as complicated and convoluted with so many characters with various schemes and plots for reaching the power, or the iron throne, as known in the show. Horns have blown and several battles have been fought but war is yet to be won. Of the 33 well-known global war strategies, one that stands out and is most interesting of all is the ‘Decapitation’, which is adopted in the battle of Varanasi and Amethi. This strategy is about defeating an enemy by eliminating the top leadership, i.e., “decapitating” the head of the organization and has long been used in many conflicts and advocated by war strategists like Sun Tzu and Niccolò Machiavelli. As quoted in an academic journal: “the principal benefit of decapitation is that much can be gained, immediately, from a limited operation. Removing leaders can bring victory in battle, decisively turn a campaign,or cause an entire country to fall”. The battle royale in Varanasi between Arvind Kejriwal vs Narendra Modi and in Amethi between Kumar Vishwas and Rahul Gandhi is one such strategy. These battles will partially decide the government formation in 2014. As Kejriwal said in many interviews, by defeating Modi & Rahul Gandhi, AAP will like to send a strong message to existing political parties that people of India will not tolerate the criminalization of politics and are ready for change. Call it a wishful thinking but an effective strategy nevertheless. AAP doesn’t have the traditional army to fight against the bloated troops of BJP & congress and has to choose an unconventional tactic to achieve their goal. Going after the prime ministerial candidates of two parties in their so-called ‘safe seats’ may seem foolhardy but its rewards highly outweighs its risk. BJP is just short of being rechristened as Bhartiya Modi Party and replacing the lotus with Modi’s face as its party symbol. Imagine the massive chill that would be sent down the spine of all the BJP members if their leader loses to a rookie maverick politician. That will completely take the wind out of Modi’s sail and even if NDA comes close to forming a government and Modi wins from Vadodra seat, his last step to reach the throne becomes very difficult, thanks to irate fellow party leaders. On the other hands, if Kumar Vishwas manage to topple the Rahul Gandhi from his figurative ancestral properly of Amethi seat, it will rock the world of the dynastic politicians whose hope so far is to focus on one seat and cultivate it for their children and grandchildren for decades to come. When the heir of country’s oldest dynasty is defeated in a battle in his own fort, no politician will ever feel safe again anywhere. And for the underdogs of this battle, this is a win-win proposition. Arvind and Kumar will come out on top as heroes if they win the battle and change the political landscape of this country forever or will go down as martyrs who chose to take the giants on their home turf, throwing caution at wind for the cause they deeply believe in. I can clearly see both of them coming out smiling in either scenario. By defeating these two leaders, who represent their respective parties and everything that is wrong in them, they two are hoping to defeat their entire army as in the decapitation strategy, i.e, head first. These two battles are certainly more than ego or bragging rights. As far as the impact of this step, politics will become an art of the possible and will give hope to every citizen angry at their current representative that they can indeed defeat them in coming elections. Anyone who dares not to listen to one’s own constituents or goes missing on them for next 4 years, will be put in the cross-hairs of the people in the upcoming elections. This certainly has potential to change the way politics happens in our country. It will deeply scar the grand old parties and bring irreversible changes to how elections are fought. Remember Sheila Dikshit? Once popular three-term chief minister gunning for her fourth term is now in oblivion. All parties will strive to shore up their image among people, bring in more acceptable candidates and avoid tainted / criminal candidates. For a change, there will be a positive competition rather than the current race to the bottom to pick up dons and goons with muscle and money power from any where. Will this story have a happy ending? Will the underdog emerge victorious or be forgotten at defeat? In general, people love a good underdog story! Don’t know how many are but I am rooting for these underdogs in this battle.